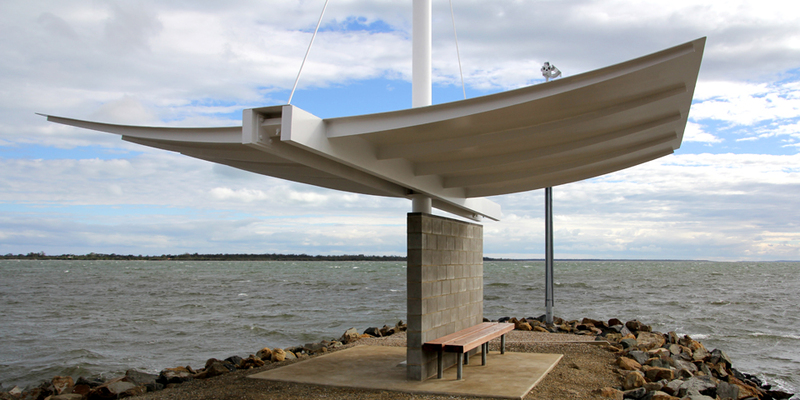 The marina shelter is located on the end of the Kings Cove marina in Metung, is designed to provide both shelter and a point of reference or a landmark. The form although birdlike with its wings also borrows from the superstructure of a yacht with the mast and rigging. The leading edges of the wings are fine in detail , achieved by setting back the supporting structural ribs from the edges and employing ‘rigging’ as tension guys, expanding on the nautical theme. 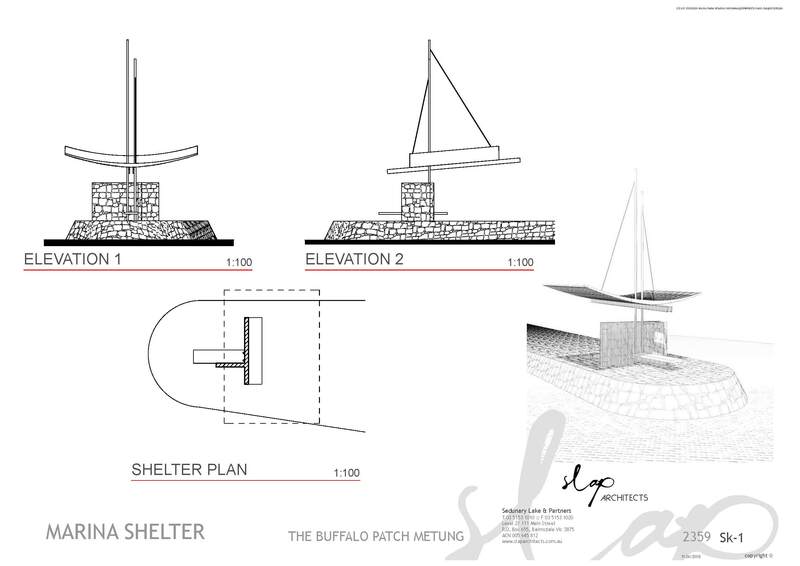 The form is ‘anchored’ to the site using blockwork screen walls the provide a wind break to the contemplation seat. 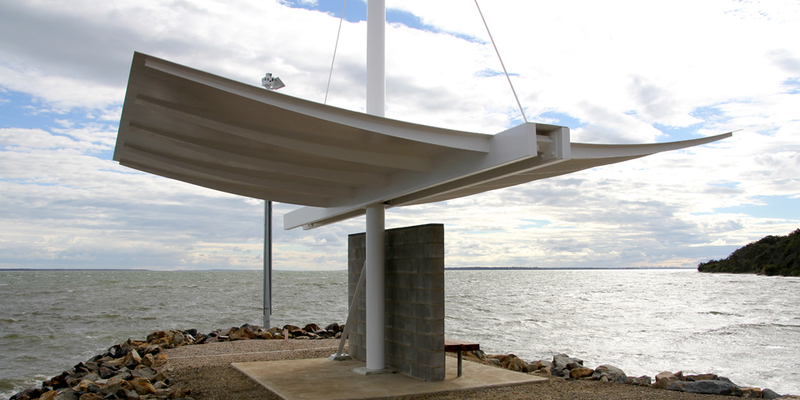 The steelwork has been treated with a high quality marine paint system. 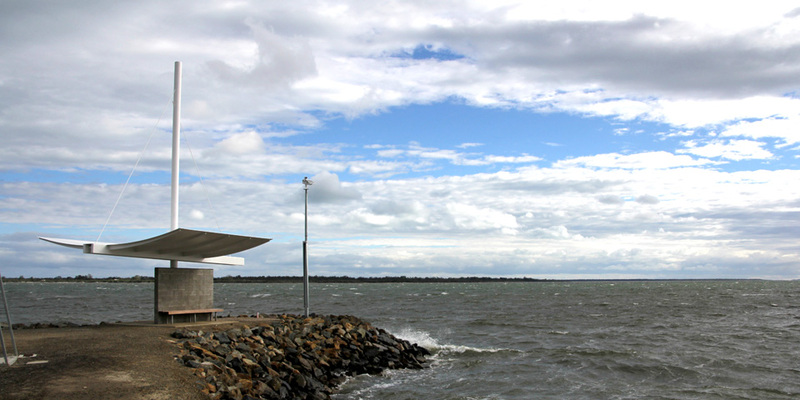 The building is designed to be a landmark from the water as well as from the shore.